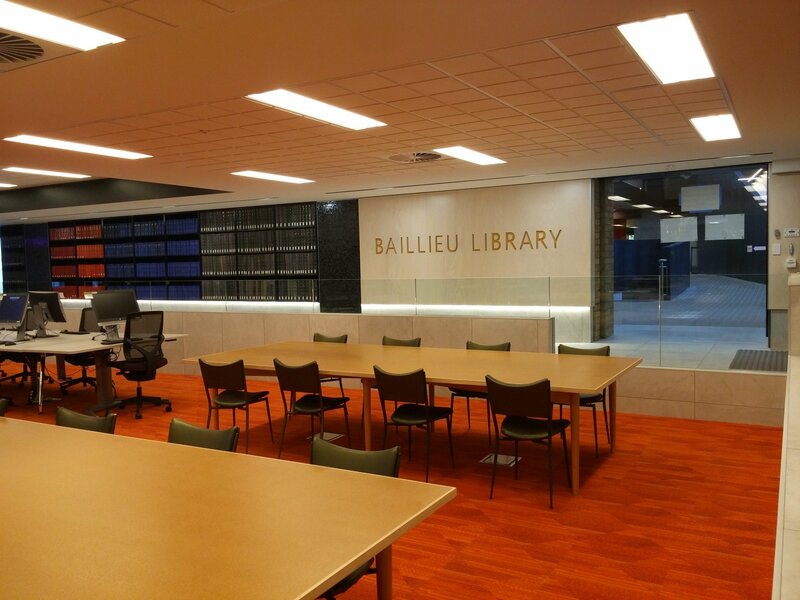 This Student IT environment provides students with a vibrant, well-equipped, collaborative learning environment, conveniently located within the Baillieu Library for improved resource access. 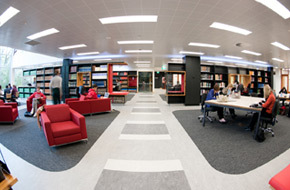 Extended hours zone (7am morning to 1am night, access with Student Card) on Ground Floor. ~60 bookable computers in spacious carrels on the First Floor. The carrels are designed so that two people can comfortably sit at each workstation. 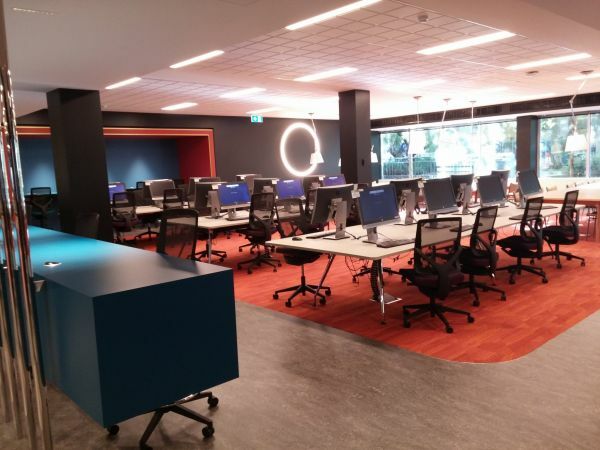 60 bookable computers in the new extended hours zone (North end) on the Ground Floor. Many power and USB charging points. Read this general user guide for more detailed instructions on how to connect your laptop to the LCD screen in a library project pods. 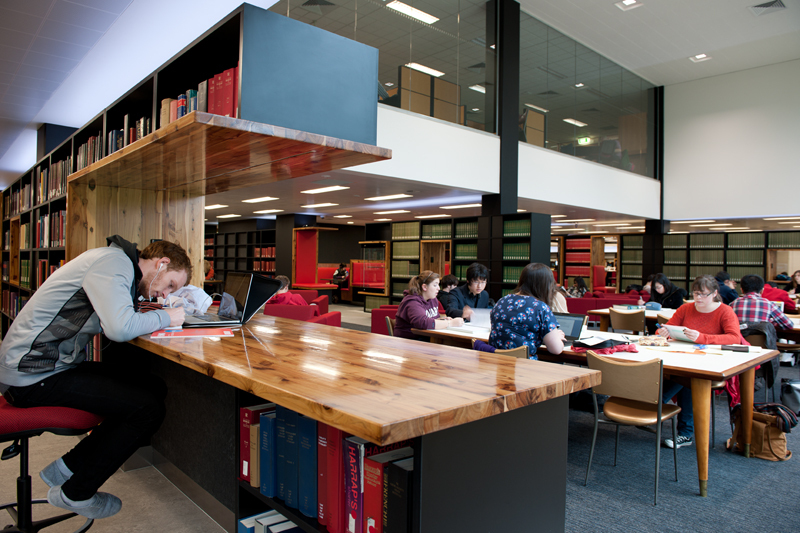 We cannot guarantee that your laptop will work straight away when connecting it to a large LCD screen in a library. If you are having difficulties, we recommend that you consult this chart which lists the video activation commands for common laptop manufacturers. Most laptop computers require a function key or software command to activate/deactivate the laptop video output signal - the actual function key varies according to manufacturer and/or model. If you need further assistance, please ask one of the student interns at the Student IT service desks. There are two eLearning Studios, each contains 16 student and 1 demonstrator computers. The demonstrator computer is attached to a data projector, has speakers built into the ceiling for sound dissemination and is equipped with the NetOp School software. Other room features include: whiteboard; large sliding door; speakers (request in Studio 1); access to Unicard printing. Academic and teaching staff may book a Studio by completing the request form. Please include the setup time you will require in the booking. There is one Disability Liaison Unit (DLU) room in the Percy Baxter Learning Centre. It contains one computer with a standard computer setup and speakers. The computer may also have software to assist people with special needs as decided by the DLU. It has access to Unicard printing. To use the room you must have been recommended by the DLU. To book, take your Student ID card to the Library Info Desk and speak to staff.